Among the types of Personal Data that this Website collects, by itself or through third parties, there are: email address, Cookies, Usage Data, first name, last name, About Me, Data communicated while using the service and geographic position. The Data concerning the User is collected to allow the Owner to provide its Services, as well as for the following purposes: User database management, Interaction with external social networks and platforms, SPAM protection, Analytics, Commercial affiliation, Traffic optimization and distribution, Hosting and backend infrastructure, Advertising, Content commenting, Remarketing and behavioral targeting, Interaction with live chat platforms, Registration and authentication, Location-based interactions, Managing contacts and sending messages, Displaying content from external platforms, Tag Management, Heat mapping and session recording and Contacting the User. 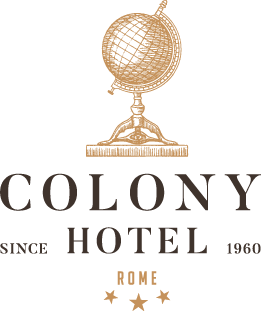 Any requests to exercise User rights can be directed to the Owner contact email: privacy@colonyhotel.it . These requests can be exercised free of charge and will be addressed by the Owner as early as possible and always within one month.